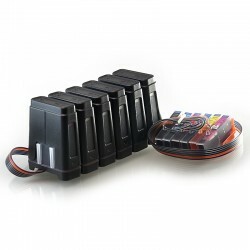 Use for Epson, Canon, Hp and Brother Printers. If you use a continuous ink supply system in your home and office, you should buy from us. We offer the web’s best prices on refillable ink cartridges and CISS ink products. Having a continuous ink supply system in your home and office can increase productivity and efficiency immensely. This system certainly allows you and your co-workers to print more frequently without the tedious process of replacing ink cartridges. 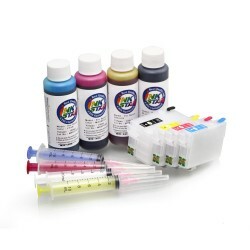 However, it can be expensive to buy replacement CISS ink and accessories. We believe, though, that these products should be affordable. This is why we offer our clients the best continuous ink supply system rates on the web. If you need refillable ink cartridges or other CISS ink supplies, you won’t be disappointed with our selection. We offer quick shipping so you will have your replacement items soon. Your satisfaction is our goal, so contact us immediately if anything is ever wrong with an order you place with us. We will make it right. Our MIR-AUS continuous ink supply solution works beautifully to replace traditional inkjet printer cartridges, which require constant replacement. Many of our bulk ink system solutions have been created to be specifically compatible with Canon, Brother, HP, Epson and other mainstream printing models. When our customers purchase continuous ink supply systems from us at MIR-AUS, they are shipped from our on-site warehouse stock in Sydney. 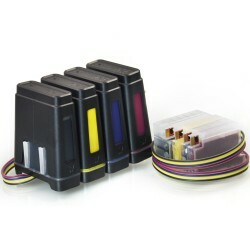 This is a much better alternative than other ink cartridge providers, who choose to ship their goods in from overseas. Our ordering system means that your continuous ink supply solution is sure to turn up at your address quickly and reliably, no matter where in Australia you live. Choosing our MIR-AUS products for your bulk ink system needs is an excellent choice for any home or workplace that wants to save their money and doesn’t need to spend precious cash on complicated printing solutions when a simple, effective system will do. Our team at MIR-AUS began providing printing solutions in 2007 in Sydney, and we have created a new Robust V.4 system with additional features to provide a continuous and easy-to-refill ink supply solution. Choosing a refillable bulk ink system is a great idea for anyone who is looking to save money on printing and make the entire printing process a lot easier. First of all, it’s easier to control your ink quality and use fresh ink when you order from us – we refill your ink cartridges on the day your order is received, ensuring that you receive the freshest ink possible. Secondly, we are sure only to use ink from Moorim Chemtech, a world-renowned producer of quality ink products for which we are the exclusive Australian importer. Thirdly, we have a huge rank of ink products that we make available to our clients – whether you want dye ink, chrome ink, pigment ink or textile ink (or any other kind of ink), we have you covered. 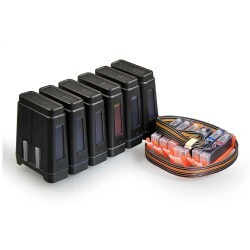 How much will you save by using CISS or Refillable cartridges? For more development in our country, we need more feedback from our customers. Keep Australia green with green products.